Alvin Aquino's Art-a-blog: Cafe Drawing! Here's some people i don't know in PEI. Hoorah. 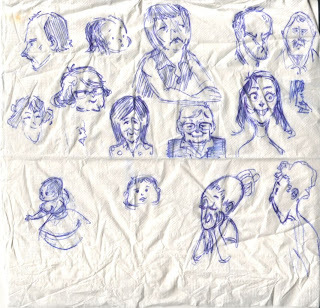 Drawn on a napkin with a pen. Enjoy! haha, i can recognize some of them. i like the lady in the middle!